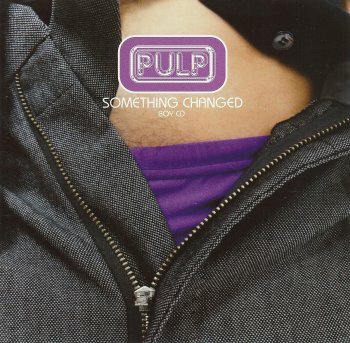 "Something Changed" is the fourth and final single taken from the album Different Class, released with two different sleeves (a "boy" and "girl" version), but with identical tracklistings. It is also their fourth consecutive top ten single, peaking at #10 in the UK Singles Chart. The song was included on the compilation Hits in 2002. The B-side, Mile End appeared on the Trainspotting soundtrack album. Pulp later worked with Roisin Murphy from Moloko; she contributed a cover version of Sorted for E's & Wizz which was released as a b-side to Bad Cover Version in 2002. The live version of F.E.E.L.I.N.G.C.A.L.L.E.D.L.O.V.E. from Brixton Academy was also released on the F.E.E.L.I.N.G.C.A.L.L.E.D.L.I.V.E. video in 1996.